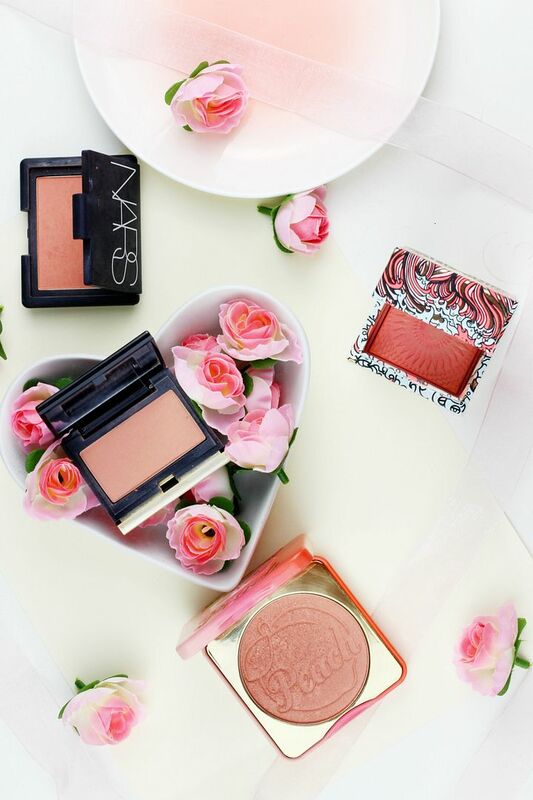 I’ve pretty much got a permanent blush crush on everything peachy – it just makes skin look so alive and fresh. I’m all for a good pop of pink blush when I want to brighten my complexion but a peachy blush manages to add a new level of radiance to the skin. It’s especially perfect for spring time makeup given its glow-giving abilities and there are some dreamy shades in my collection. Possibly the cutest blusher ever (I just really love makeup names with a good pun! ), the Too Faced Papa Don’t Peach also smells like peaches so it’s a perfect little peppy product for the morning. The formula is really pigmented yet blendable, and it has a fair amount of shimmer running through it so it gives a gorgeous glow to the cheeks.I’m so sure this is limited edition so definitely grab it whilst you still can! Another good one for adding glow is Benefit Galifornia; it leans a little coral on the skin so it’s a good one if you’re looking to add more colour to the skin. Like most Benefit blushers it has a silky soft formula that glides across skin like a dream – this one also smells like coconut which I’m sure will make it a summer staple. If something with a little less shimmer is more your thing, then I would recommend Kevyn Aucoin Ariana (possibly the best blusher ever? ), and Nars Gina. Both have an impeccable formula and both shades that give that dreamy soft glow to the skin. Do you love peach blusher?